A few kilometres to the west of Autun, in the Saone et Loire department, are the Canche Gorges. 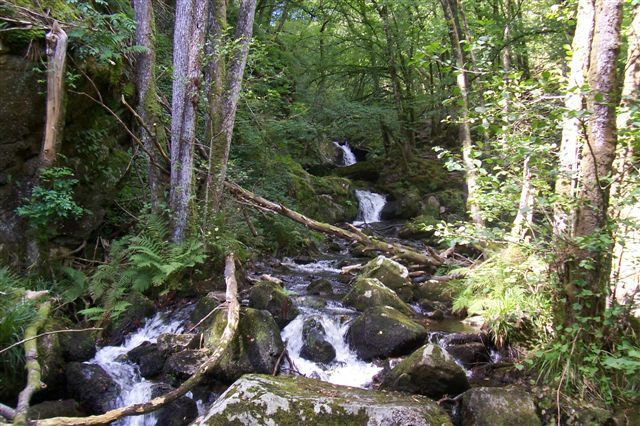 The Canche is a little stream which has over centuries carved out a deep, narrow valley, with many waterfalls such as the "marmites de geant", or giant's cooking pots: rounded holes where pebbles tumbled by the force of the water have gradually worn away the rock beneath them. The valley has a cold microclimate, which has allowed the survival of various species of shrub and tree from 5,000 years ago, when the climate was much colder.